This right-angle 1/4 wave antenna is intended for use with the Lectrosonics 200 and 400 Series Receivers operating on frequency block 21. Box Dimensions (LxWxH) 5.1 x 1.25 x 0.5"
Right Angle Antenna for 200 and 400 Series Receivers (21) is rated 5.0 out of 5 by 1. Rated 5 out of 5 by Chad from it does the job It works. does this work with ucr195D recievers? 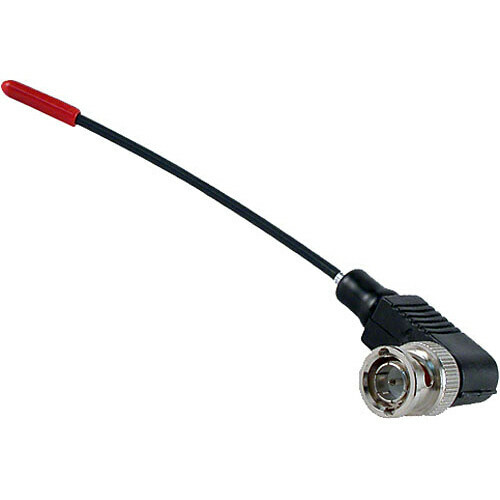 This antenna works for all lectrosonics receivers with bayonet connectors (B.N.C). Make sure the whip length matches the frequency block.